I didn't chose this life. 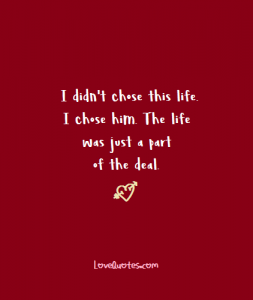 I chose him. The life was just a part of the deal.